"The nation is proud of your exemplary courage," Indian Prime Minister Narendra Modi said in a tweet. 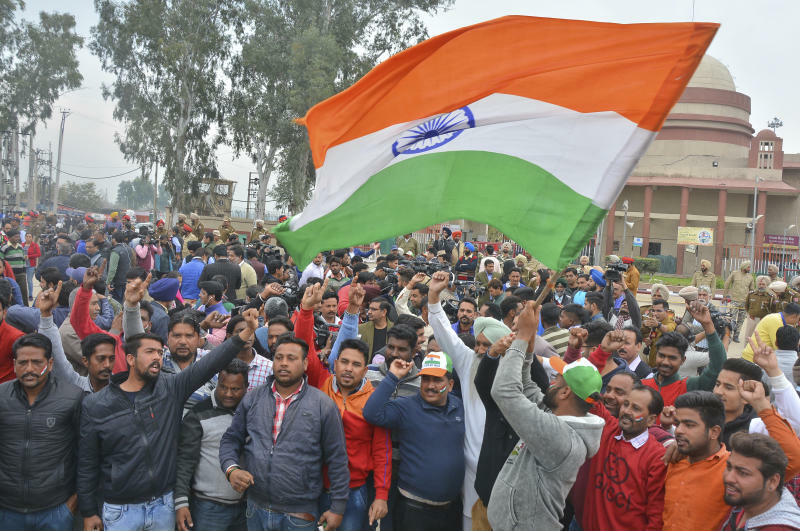 Earlier in the day, the road on the Indian side of the border had been lined with well-wishers, but by the time Varthaman crossed around 9 p.m. most of them had left. Khan announced in parliament on Thursday that the pilot would be returned, calling the release "a goodwill gesture." But India made clear there could be no conditions attached to the pilot's return, and that the latest escalation had changed its strategy. 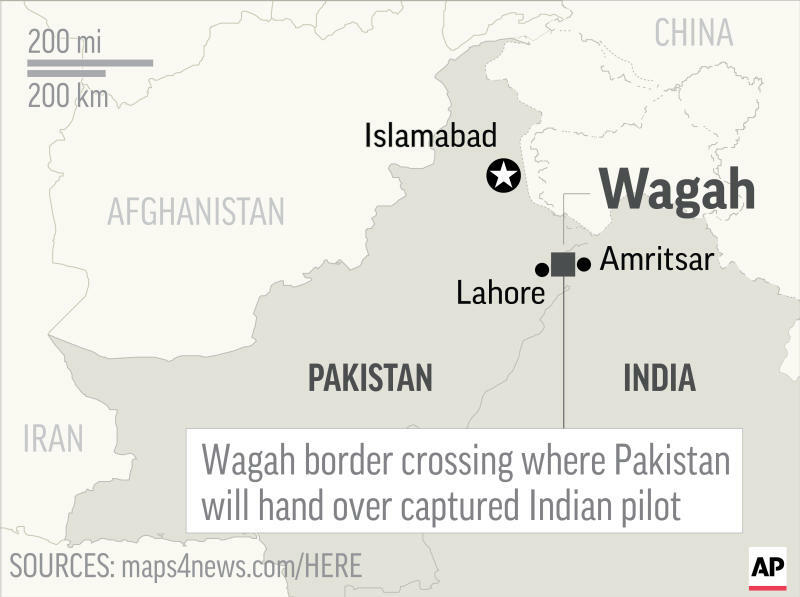 Going forward, Indian officials said they would strike targets, including those inside Pakistani territory, if officials receive intelligence of planned attacks. Kashmir has been divided but claimed in its entirety by both India and Pakistan since almost immediately after the two countries' creation in 1947. The countries have fought three wars, two directly related to the disputed region.